The directors of the Segal Design Institute welcome you to explore our offerings and engage with our community. Greg Holderfield is director of the Segal Design Institute, clinical associate professor, and director of the MMM program. He is a passionate advocate for the power of design and is well known in the field. His design work has been recognized globally with more than 25 design awards, including two prestigious German “Red Dot” awards, Japan's "Good Design" award, and the IF International Design Forum award. Greg brings to the classroom over 20 years of experience in the innovation space. Most recently he was vice president of design and strategy at ARC Worldwide / Leo Burnett, where he led breakthrough initiatives for McDonald's, P&G, Kellogg's, and Symantec. 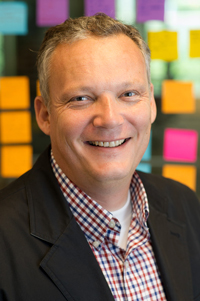 Previously he was director of strategic design innovation at HLB, working with such clients as Microsoft, Dell, Unilever, SC Johnson & Son, 3M, Wrigley, and LG Electronics. In 2009, he was named to the global design jury for the International Design Excellence Awards. Greg received his BFA in industrial design from the University of Illinois, where he was recognized with the IDSA Merit Award. He received his MS in product development from Northwestern University. As a design engineer in the automotive parts industry, Bruce Ankenman found that an engineer's job depends on the ability to efficiently collect and analyze data. Since many engineers have limited access to statistical methods, his research has centered around developing simple-to-use, yet statistically powerful tools for the design and analysis of both physical and simulation-based experiments. At Segal, Bruce directs education programs that focus on the full design process with special attention to meeting human needs with technology. 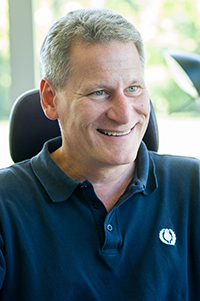 Bruce holds a BS in electrical engineering from Case Western Reserve University, an MS in manufacturing systems engineering from the University of Wisconsin-Madison, and a PhD in industrial engineering from the University of Wisconsin-Madison. 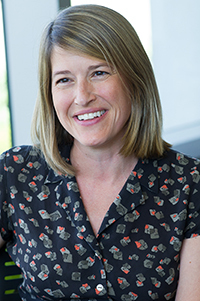 Kim Hoffmann manages operations, external communications, and new initiatives for the Segal Design Institute. Kim has also played an integral role in the development of the Engineering Design and Innovation (EDI) program since its inception in 2007. Before joining Northwestern, Kim worked in new product development at Logitech, a computer peripherals company, and co-founded RedStart Design, a jewelry design firm, with two other designers from Stanford. Kim holds a BS in mechanical engineering from Northwestern and an MS in product design from Stanford University.